Stefan Parkman holds the Eric Ericson professorship in choral conducting at the Uppsala University. Since 2010 he is Director Cantorum at the University. 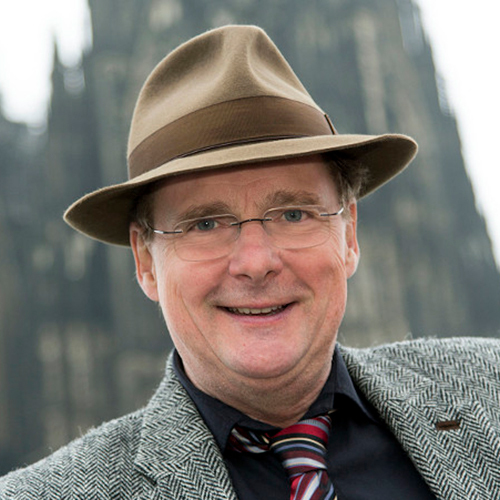 Since 2014/15 he is Chief Conductor of the WDR Radio Choir in Cologne. He hold the positions of Chief Conductor of the Swedish Radio Choir (2002-2005) and of the Danish National Radio Choir (1989-2002). He regularly conducts a great number of professional choirs in Europe and USA including Berlin Radio Choir, Bavarian Radio Choir, NDR Choir Hamburg, SWR Vokalensemble Stuttgart, Netherlands Radio Choir, Choeur de Radio France, Nederlands Kamerkoor, BBC Singers London, Hungarian Radio Choir and Trinity Choir New York. Stefan Parkman also frequently teaches at masterclasses, seminars and workshops in Sweden and abroad. In 2012 he was a guest professor at the Institute of Sacred Music at Yale University, and Hochschule für Musik “Hanns Eisler” in Berlin. As a guest conductor Parkman appears with numerous symphony orchestras and ensembles including the Royal Stockholm Philharmonic, Stavanger Symphony, WDR Symphony, Kölner Kammerorchester and the Royal Swedish Opera in Stockholm. Upcoming engagements will include concerts with Polish Chamber Choir, South Denmark Philharmonic, Croatian Radio Choir among others.